The challenging slopes of this room called for the attention of a custom organization system. 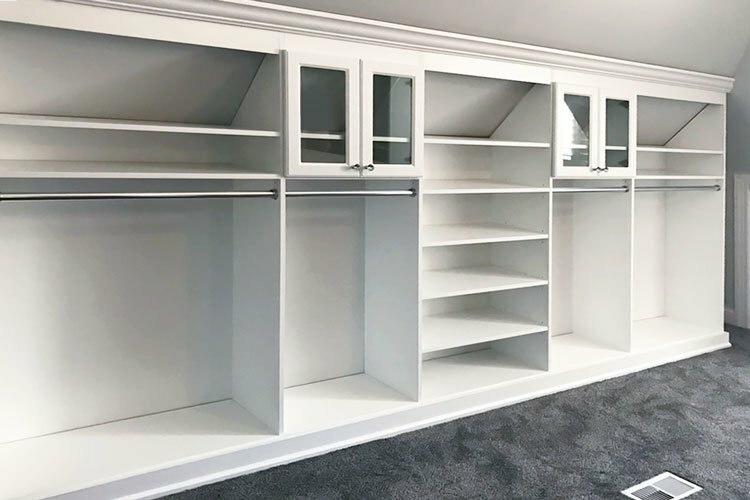 As a spare room above the garage, Closet Works was able to transform this space into a master walk in closet design with a variety of storage options. 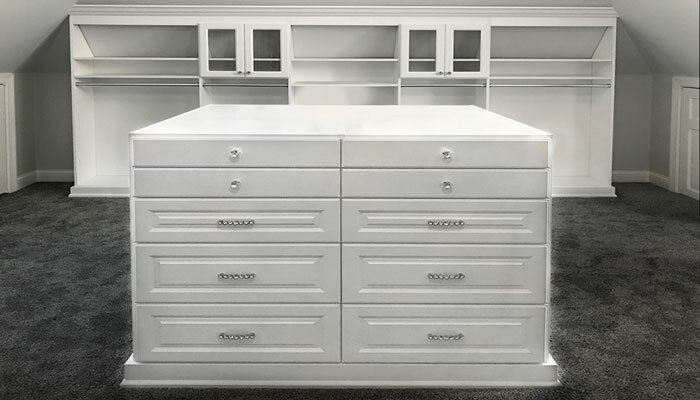 This particular sloped ceiling closet design has a transitional look including clear glass inserts for cabinets with Contempo crown moulding. Sloped ceiling rooms often present a design challenge requiring more careful planning and attention to detail than rooms with standard layouts. 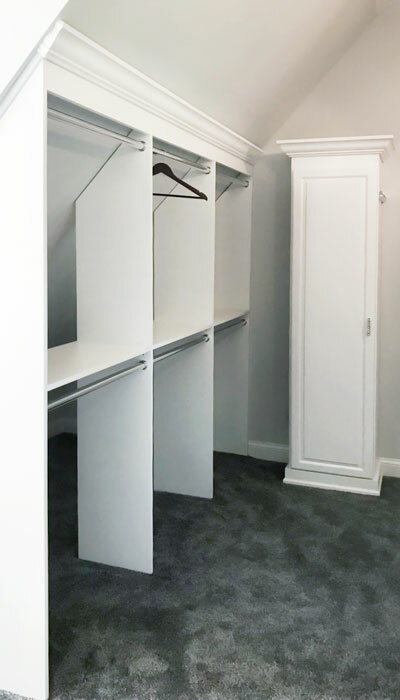 The best way to get the most use out of your space is custom organization systems which Closet Works expertly creates — including this particular slanted ceiling closet design. 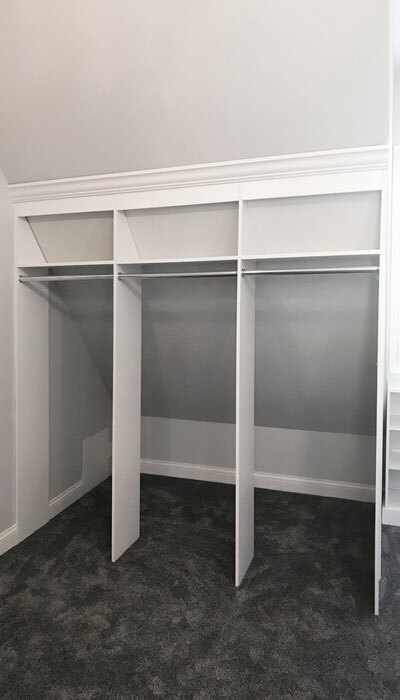 This slanted ceiling closet design takes care of every challenging angle of the room with custom hanging, shelving, cabinets, and more, while also keeping in mind the other tricky features of the room such as air vents and electrical outlets. 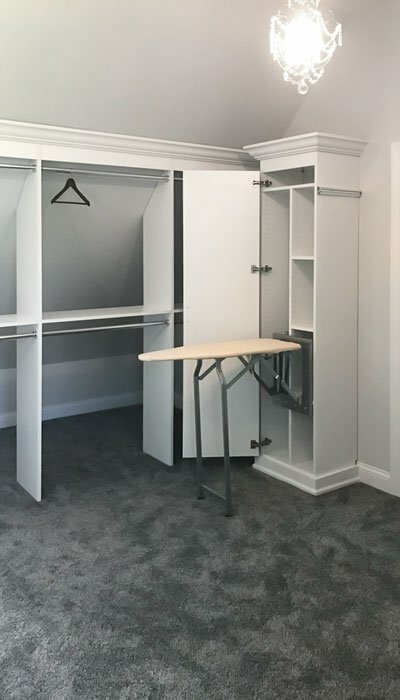 Closet accessories including a valet pole and fold-down ironing board are custom features to really elevate and specialize the space. A closet island has beautiful Harmony door fronts on one side with convenient pull-out sweater shelves on the opposite side. The closet island is centered underneath the chandelier and has Harmony raised panel drawer fronts. The opposite side of the closet island has pull-out sweater shelves and additional standard shelving. Medium hang sections were built on the slanted wall of the room. 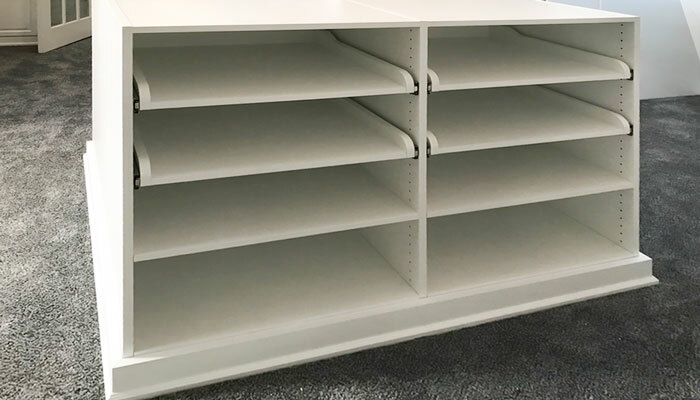 A separate cabinet was built for the fold down ironing board. This spare room becomes a master closet with a convenient fold down ironing board. 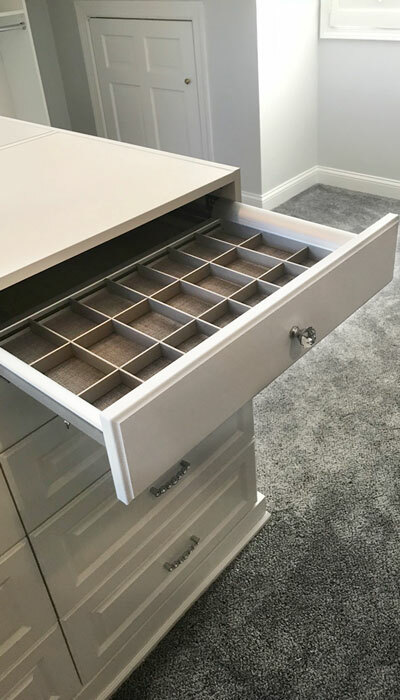 Hidden inside the closet island is an Engage jewelry divider. 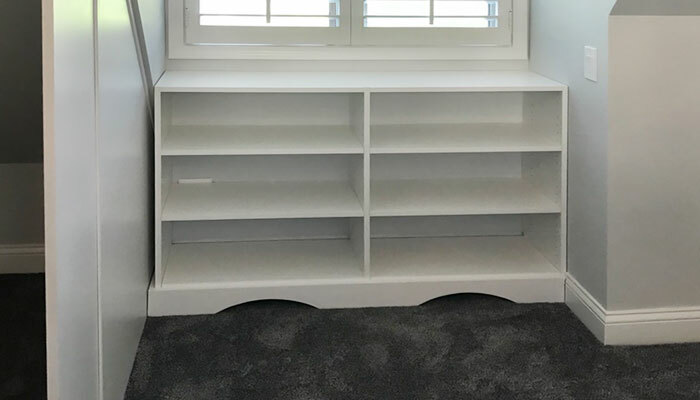 A custom shelving section fits perfectly beneath the window becoming a great place to store shoes.